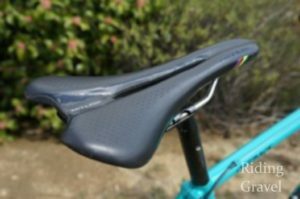 Ritchey Outback: At The Finish- by Grannygear Editor’s Note: Due to the limited time we were able to have the Ritchey Outback, we were forced to shorten our normal three part review into two segments. I am back once more in my garage (think Bat-cave but without the bats and the cool car), and once more the Ritchey Outback is in front of me hanging on my work stand. I just finished a ride on it and once more I set a PR…actually two PRs. This is a scoot, this one is. It’s a deceptively fast bike and a willing steed, covering ground at a very good clip, but it needs to fit into a certain set of circumstances in order to excel. Lets look at this a bit more, but first, we step into the WABAC machine for a moment (obscure cartoon reference, Mr. Peabody). After unboxing and taking stock of the test Ritchey Outback, I set about getting it to fit me. I typically ride a 58cm bike, in that I mean the effective top tube length would be in the area of 575mm to 580mms long. 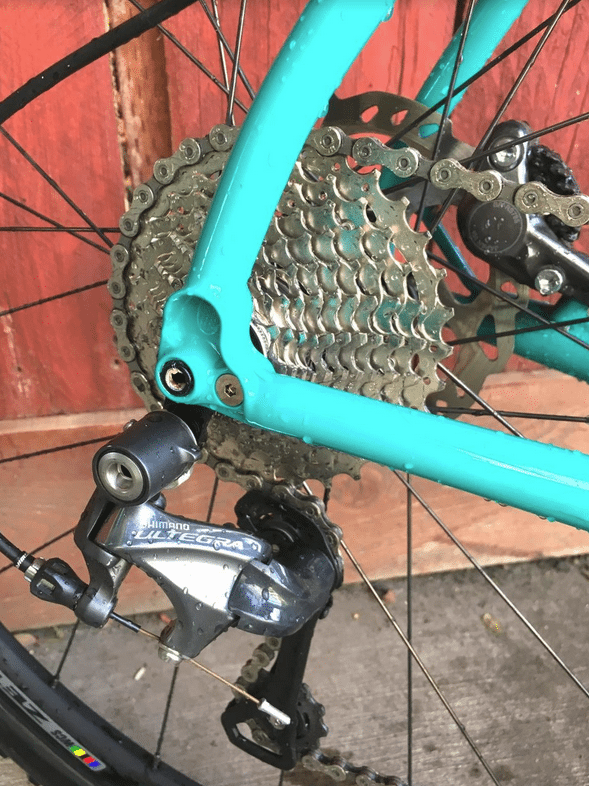 Of course reach and stack is a better number to understand a bike’s fit as it takes into consideration seat tube angle and head tube height (plus bottom bracket drop) when determining how a bike will fit you. After setting seat height (I left the Ritchey saddle in place) I measured the distance to the bars from the saddle and the amount of drop relative to the bar tops from the saddle height. Those measurements told me I had some work to do to get the Outback to fit me well. Length wise the XL Ritchey is in my range with a 583mm effective top tube length. But let’s look at Reach and Stack to see how the XL Ritchey compares to my Lynskey GR250. Reach and Stack numbers on the Ritchey are 401/596 respectively. My LG GR250 (now called the GR260) has a Stack and Reach of 390/615. So the Ritchey is longer and lower than what I am used to by a good bit…longer by less than a half an inch but also lower by almost an inch. On my Lynskey I use a 90mm stem although a 100mm would be OK too. I felt the 71 degree head tube angle on the Lynskey handled better with a shorter stem. So on the Outback I was way off with the stock 110mm stem. I had to swap to a 100mm stem, flip it to a +6° positive position, and run 20mm of spacers under the stem to get the bars close to what I wanted and I still ended up in a position that was more like my road bike in fit. Also the 5mms less bottom bracket drop of the Ritchey put me even more above the bar than the GR250’s 75mms of bottom bracket drop. I got it to work, but I am thinking this bike might do well, especially considering the audience, if the stack number was a bit higher. I actually came to like the final bar position on it but I would prefer to have it there without all the spacers and tipped up stem. Since then I have ridden the Ritchey Outback on several rides I know well. They combine good pavement, bad pavement, no pavement, gravel sections and plain old dirt roads. 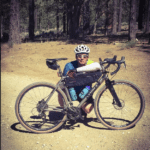 All of them involve a good amount of elevation gain and some fast descending on both dirt and pavement. Most of them I have on Strava, so I can get an idea of ride times as compared to my own bike. It’s been a fast bike for me, turning in some impressive PR’s. If you like steel, and you appreciate good steel, then you will like how the Outback performs. 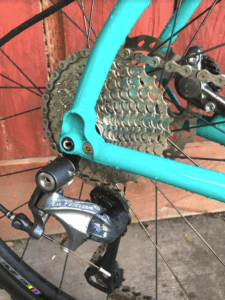 It has that lovely, springy, poppy, alive, feel of steel and steps out well when pedaled energetically, feeling quite solid at the bottom bracket. On my first ride I set a Strava PR on a particularly steep pavement climb that leads to a rollicking good ride on open dirt roads. And on the dirt rollers that followed, the Outback was engaging and fun to ride quickly. The ride comfort is quite good as you would expect from steel and even with a slightly smaller tire than I am used to, and at a slightly higher PSI, it was a decent place to spend time. I did find that the front end transfers a bit more impact then I expected, but then again, there is that smaller tire at a few more PSI then normal for me, normal being 30PSI, and I was running more like 35psi on the Ritchey Outback. It does not sound like much, but it matters. I was a bit worried about the 73 degree head tube angle. That is pretty steep for a gravel bike. I would expect more like 72 degrees on something like this and the more adventure based bikes are even slacker. Is it too steep? It depends. It is much better than I expected but it is what I would call ‘sporty’. 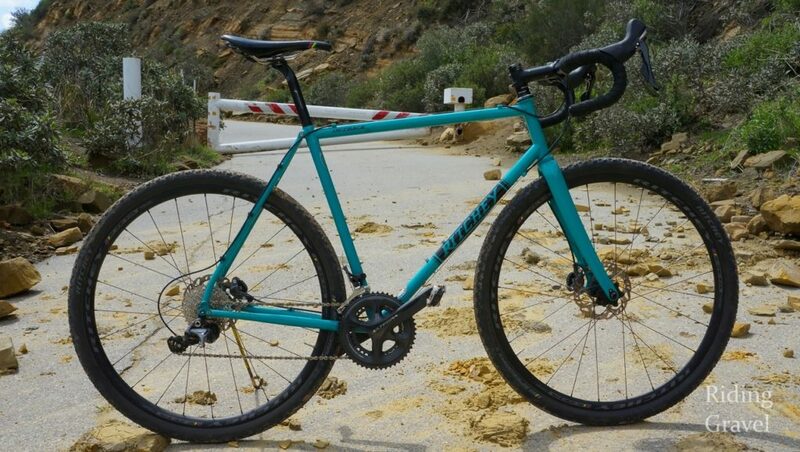 If you think that most gravel bikes feel stodgy and boring then try this one. On fast and twisty pavement dotted with bomb craters of missing tarmac, the Outback was fast and fun, diving onto any line I chose with little effort at the bars. Honestly, most of the time it felt like a very stable road bike with max-biggy tires, likely owing much of that stability to the long (for a road bike) back end. On rough dirt roads it was still very manageable, but when things tilted down and began to get sandy or rutted or both, then I had to pay close attention to the task at hand. I felt I had less grace in that situation then on my Lynskey. Still it was way better than the numbers suggested, reinforcing the fact that you can’t always tell a bike by the numbers alone. 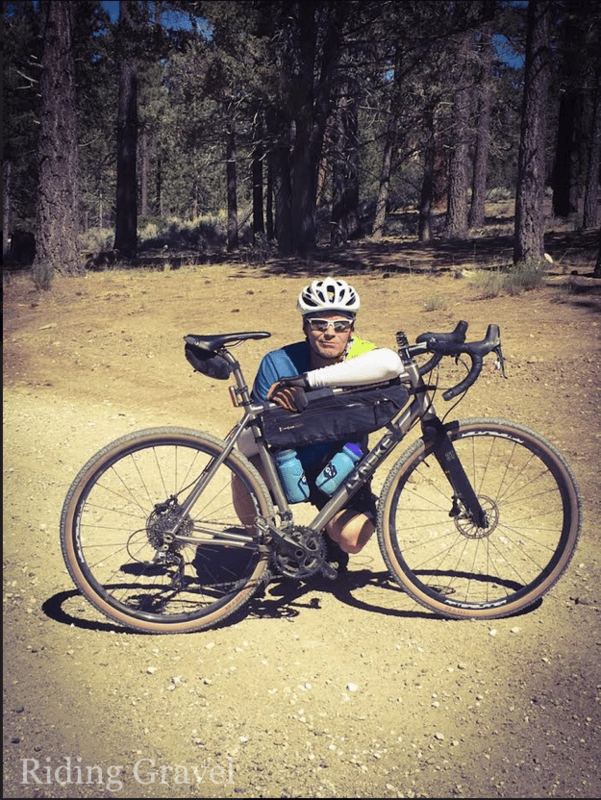 So with the lack of extra mounts for racks or fenders and with no option for 650b wheels and fatty tires, and with the sports car handling and low and long cockpit fit, you would think ‘race bike’ more than adventure/gravel bike, yes? But I would suspect most persons who are very serious about racing on gravel are going to shop carbon. Could you race the Ritchey Outback? Of course you could and frankly you are giving up very little by going with steel in the pursuit of gold medals and such, and weight is not everything, but there is a noticeable lag in acceleration when pressed very hard that is not there on a quality carbon bike (or even my aluminum Warbird). I have noticed this on every steel bike I have ridden on the road. They feel very snappy and fast until you stand, grab the bars firmly and begin to turn the pedaling input dial to 9.5 approaching 10. Then you can feel the bike twist up and feel a bit lazy. I am not sure I am truly going slower in that moment but it feels like I am. Honestly I noticed this on pavement with the Outback, but never on the dirt. I don’t think I could generate the amount of torque needed to elicit this response without being on the limitless traction of pavement. Also, I am 190lbs, so take that into consideration. It’s not a big deal, but I have to mention it, and it is not anything that would keep me from buying this bike or any steel bike for that matter. Now if I lived where I was doing roads that were a mix of pavement and dirt and none of that dirt was terribly technical in nature, and I wanted a bike that could cover both surfaces with grace and speed while not feeling at all boring, and if you found the lower and longer more road bike-like pedaling position to your liking, aaaannndddd you think steel is a sweet deal and the max tire size is OK at 38-40mms…brother (or sister) you have found a bike for you. The components have been fine…mostly. The tires left me a bit cold…not sure why. They seem to drag a bit although my STRAVA times do not show that. Dunno’. The WCS Zeta Disc wheels have been great performers though, snappy and solid feeling. They seem to be well priced too, being $800 bucks for 1560 grams claimed weight per pair. Oddly enough the bars did not fit my hands well when I was in the drops, leaving me unable to nest my hands into the curve. I have run several sets of the EVO models of Ritchey bars and not noticed this. Most of the time I was up on the hoods anyway. The Skyline saddle was actually pretty good for me. Nice. The only let down was the seat post clamp at the saddle. It held fast for all the rides except the last one and then it would not hold under any pressure more than a small bump would provide. My experience has been to add carbon paste to the binding wedge of these type of posts but this one was fine until it wasn’t. Then no amount of snugging would keep it in place. This is a slightly changed design to the old two bolt head and Rtichey has had no feedback of issues over this past year. I will assume this is a one-off issue and will wait to hear from Ritchey when they get this back in da’ house. I truly enjoyed the time I spent on the Ritchey Outback. It turned out to be a Strava PR machine for me although It does not quite fit my ideals for a gravel bike. 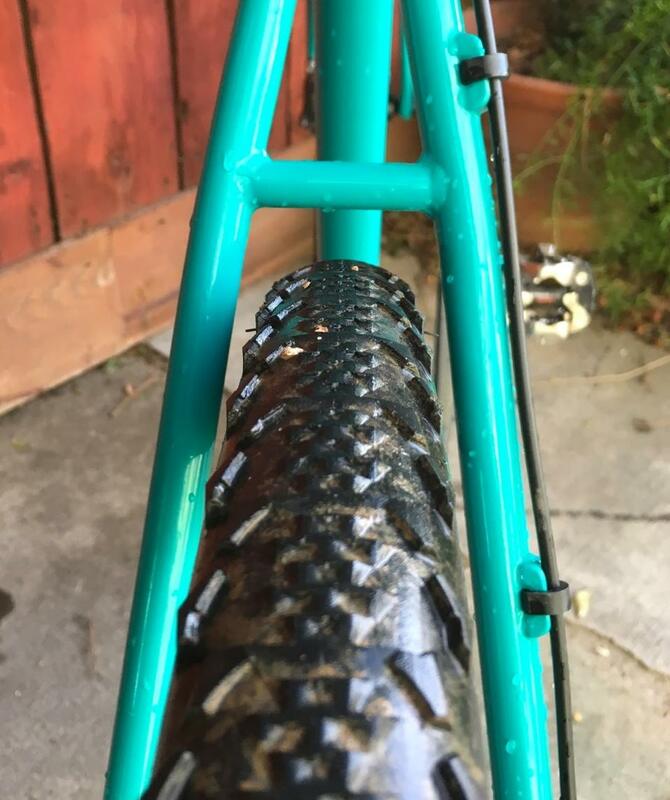 I value a few things the Outback does not offer…bigger tire options (650b options too), a bit slacker geometry for added grace under pressure, and the fit for me is not optimal. But I am not everyone and frankly I have yet to put a rack on my Lynskey and I seldom run 650b…almost never actually. But I can if I wanted to and I like that. Setting my preferences aside, this is a compelling bike. It’s a roadster where my Lynskey is more like a light SUV. 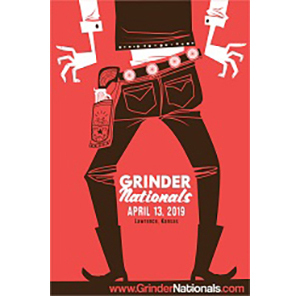 It could be your road bike if you are not contending crits on the weekends and you wanted to run a fast 35-38mm tire, a point where most road based endurance bikes cannot reach. It could race Dirty Kanza. It could be a sweet commute bike if you don’t care about fenders. It could be your PR machine for Strava runs. It could be that bike that follows any road that beckons to you. Horizon, here we come. All that, and it does say Ritchey on the downtube. And that ain’t hay, brother. 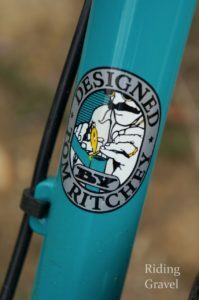 Note- Ritchey sent over the outback bicycle for test and review at no charge to Riding Gravel and we were not paid nor bribed for this review. We strive to give our honest thoughts and opinions throughout. I see absolutely nothing wrong with 20mm spacers and a +6 stem. What of the person that wants a position lower than your middle-of-the-road position. Also you attributed your stack and reach numbers to the wrong bikes. @Smallwood….looked at the reach and stack for the Ritchey per their website…looks correct to me but maybe this was edited after your comment. 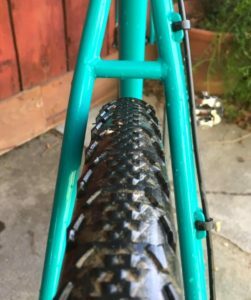 Glad that you see nothing wrong with that low stack height as this bike, and about anything Surly makes, will thrill you with that ‘many spacers/tilted up stem’ look. My preference. It’s not a wrong or right thing. 401/596(Ritchey) vs 390/615(GR250) looks like the Lynskey is longer and lower-no? Yea, no- I’ve got it backwards. If you was a bettin man, what would you bet is the max clearance for a 650b in the Outback frame? 48mm? Yeah, the low stack height in my size and lack of 650b fattie clearance made me reluctantly cross this bike off my list. I’d say your review is pretty spot on.